National Bus Sales offers the best bus leasing and rental options in the country, period! That means we can take care of your New Hampshire bus leasing and rental needs. Customer service is our top priority, and we will do whatever it takes to get you into the bus you need right now. Trust us to assist you. 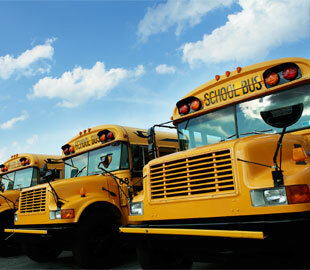 Party buses, church buses, shuttle buses, school buses – we have it all at National Bus Sales. Our buses can accommodate as many as 84 passengers, and they offer many specialty features you might be looking for. 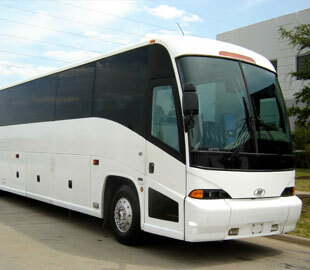 We have buses with A/C, lifts, audio/video and reclining seats, and all of them are available for rent. Whether you want Starcraft, Federal Coach, Glaval, or something else, we have what you need right here. 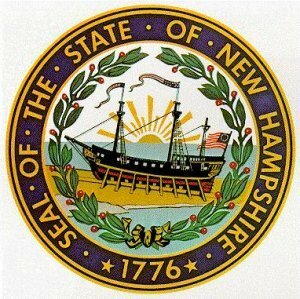 National Bus Sales offers monthly and yearly bus rental and lease contracts for New Hampshire, depending on how long you need to use your bus. Most of our clients opt for a multi-month contract, but we have short term options available as well. We can deliver any bus you want to your driveway as long as we have a security deposit and contract in place. Let us know what you want, and we'll make it happen. We have TRAC leases, operating leases, and lease purchase agreements available. If you would prefer owning the bus you're paying for, fill out a credit application and we will see what terms we can set up for you. We work with most credit profiles and income levels, so we should be able to set up a loan for you. When you find a deal that works, you will have a new bus delivered to you in no time! From bus renting to bus financing, National Bus Sales can do it all. Contact us today @ 800.475.1439 to learn about the exciting options here at NBS.